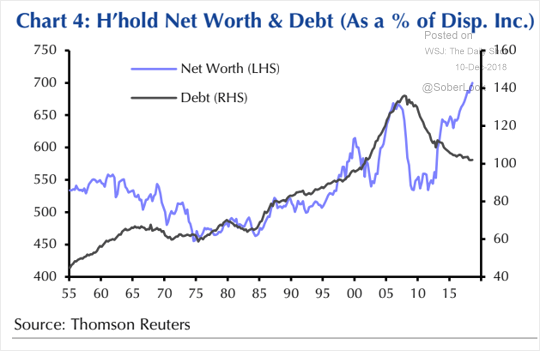 The United States: The overall consumer debt (as % of disposable income) has declined in recent years even as the total household net worth rose. This divergence suggests that, on average, US household balance sheets remain relatively healthy. 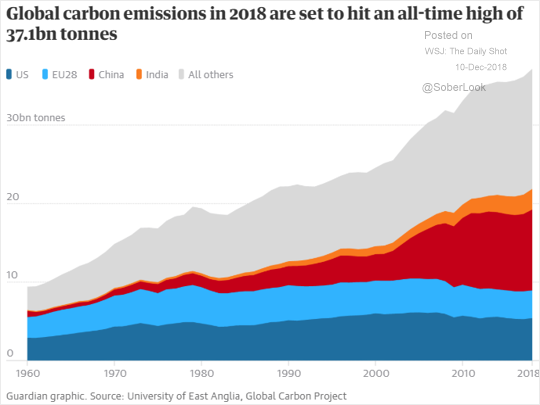 Of course, these trends have been highly uneven across income categories. 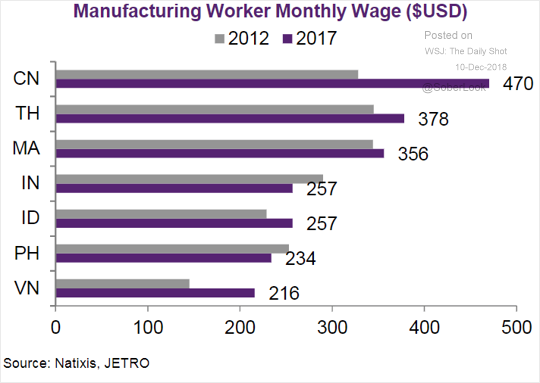 China: China’s manufacturing wage increases have been substantially larger than pay gains elsewhere in Asia. 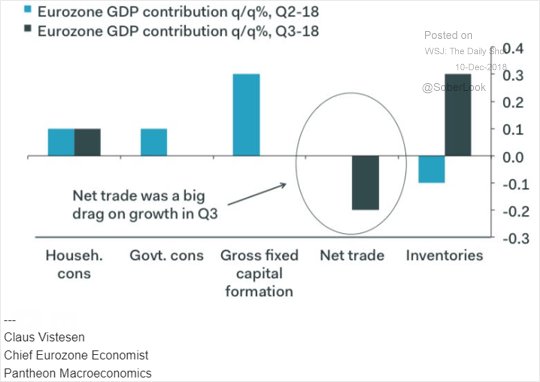 The Eurozone: Trade has been a drag on the euro area’s GDP. Credit: Here is how PE firms have been managing defaults (DE = distressed exchanges, Prepack = pre-packaged bankruptcies, BK= regular bankruptcies). 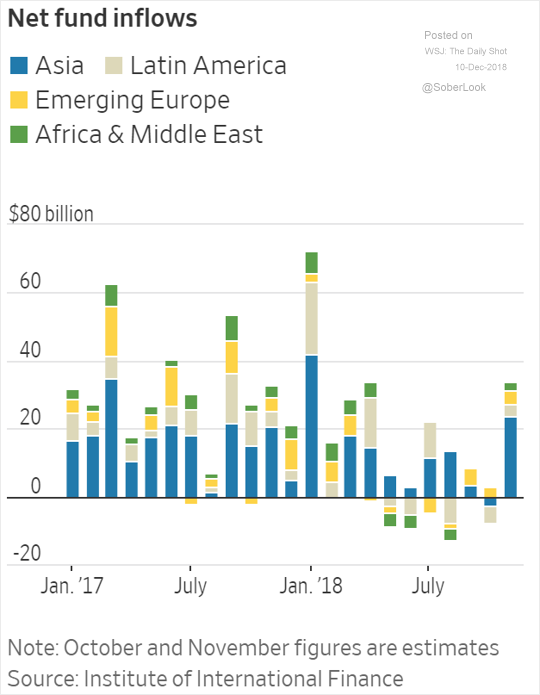 Emerging Markets: Here is the regional breakdown of EM fund flows. 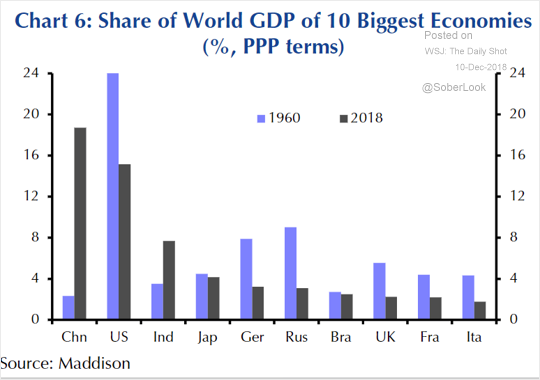 Global Developments: The chart below shows each country’s share of the global GDP – now and in 1960.